Today, we’re excited to expand to more of the Windows community by bringing Instagram to tablets running Windows 10. 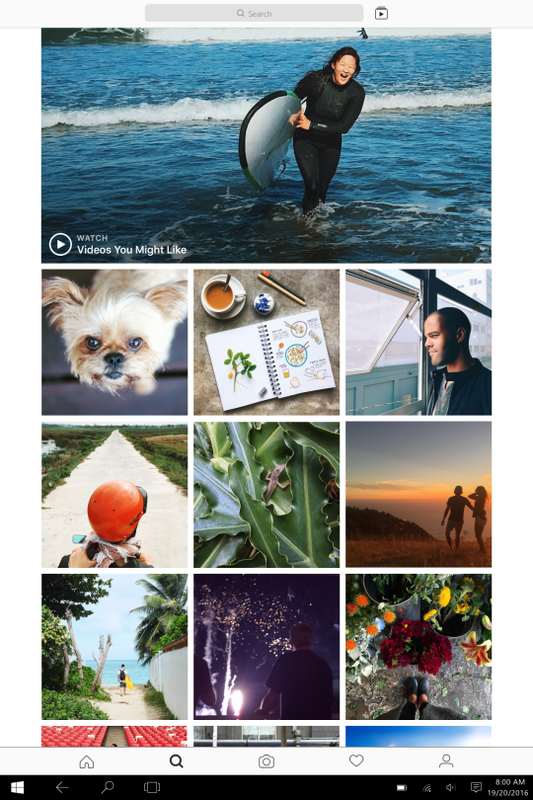 In April, we brought Instagram to Windows 10 Mobile. Now, Instagram for Windows 10 tablets includes all of your favorite features, including Instagram Stories, Direct and Explore. And you’ll be able to capture, edit and share directly from your Windows 10 tablet device.